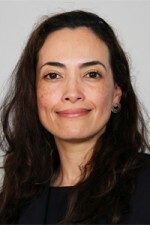 Dr Adriana Martinez has been a Consultant Histopathologist at Northwick Park and St Mark's Hospitals since 2007. She trained in Medicine at 'Universidad CES' in Medellin, Colombia. She pursued her postgraduate training in the United Kingdom, gaining experience in histopathology at University Hospitals Birmingham, The Royal Surrey County Hospital, King's College Hospital, The Royal Sussex County Hospital, University Hospital Lewisham and St Thomas' Hospital.